Chief Minister Jayalalithaa on Wednesday told the Assembly that her government would construct a manimandapam (memorial) for late actor Sivaji Ganesan as the South Indian Film Artistes' Associations had failed to utilize the land allotted for the purpose. 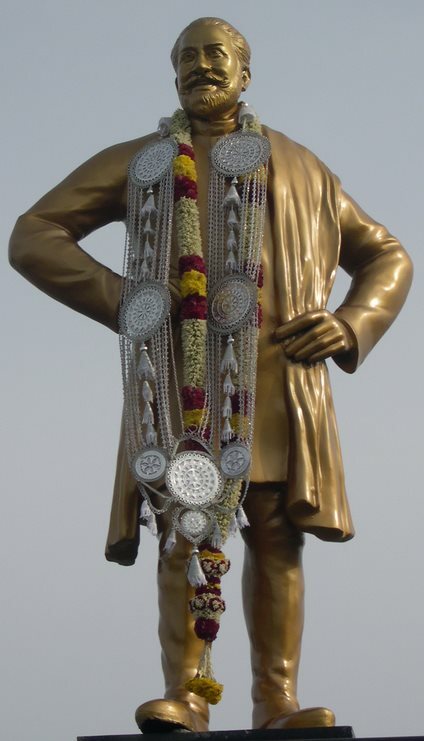 Ms. Jayalalithaa said her government allotted land measuring 65 cents to South Indian Film Artistes' Association on September 26, 2002, opposite Sathya Studio in Adayar for the purpose of erecting a manimandapam for Sivaji Ganesan, who had acted over 300 films and received many honours, including Dadasaheb Palkhe award. "So far, the memorial has not been constructed by the association in the land allotted for the purpose and several sections of people and political parties have appealed that the government should build the memorial," said Jayalalithaa. Hence, she said, "I am very happy to announce that the memorial will be constructed by the Tamil Nadu government in the land allotted to South Indian Film Artists Association for the memorial." While replying to a Congress MLA Vijayadharani, she said that Sivaji does not belong to any party. He is an asset to our nation and announced that her government would build a Manimandapam for him in the land allotted opposite to Sathya studios, Adyar. Nadigar Sangam president Sarath Kumar, Radha Ravi amd Vishal have welcomed the announcement.